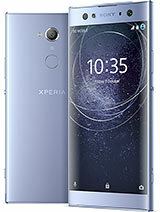 i wanna to buy this phone....but got poor user comments...issues wth multimedia.....n many more. tomrw im getting dis piece......all r quite good.....except flash and version !!! which one is better?? ?se x8 or x10 mini pro?? Dont try to compare worthless corbys with this kinda great android smart devices. for browser there is no flash support.. is it possible to install flash support!!!!!! hows the pic quality in nite as well as day n does it have flash??? n hows the music quality??? there is no autofocus, there is no zoom...this mobile is absolutely rubbish!! deepanshu, 16 Oct 2010Can any one tell me In x 8 where is the zoom option is it available or not? Where is the ... morego to the markat download some camera app ok. Anonymous, 16 Oct 2010hey guys am getting 2 offers for this phone in bang,wid bill its for 13500 rs.. n widout its f... morewoud suggest you go with the bill to cover you from any tech snags..the high end phones are more prone for it and dont know which piece might have some defects..